The last leg of our Italian honeymoon was Venice. Following our time in Pisa and in Florence, we imagined this part of the trip would be a bit more chilled out and in the most part it was. We still did a lot of walking and exploring, but also spent a fair amount of time in our air bnb drinking wine! 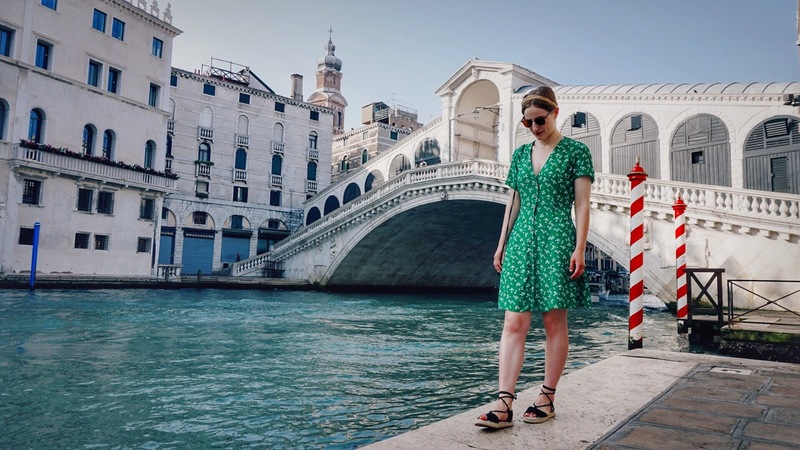 Where we stayed | Whereas booking our accommodation for Pisa and Florence had been relatively quick and easy, Venice was a little different. I spent a long time scouring Booking.com for affordable hotels and couldn't find anything within our budget that wasn't a hostel, which wasn't exactly the vibe we were going for on our honeymoon. In the end we booked an air bnb (this air bnb to be precise) and I'm so glad we did. It was by far the nicest place we stayed and it just made the trip so much more enjoyable. The added bonus of having a kitchen saved us from the fact we'd run out of money too! Fondaco Dei Tedeschi | We arrived in Venice late afternoon and after settling into our air bnb we headed out to explore a little. Our first stop was Fondaco Dei Tedeschi, which is actually a big department store near the Rialto Bridge. Don't worry though, we didn't waste our time shopping; the roof terrace was what we went for, supposedly boasting one of the best views of Venice. It overlooks the Grand Canal, it's completely free to go up and there's even a lift. Winning. Rialto Bridge | This is one of the most famous bridges in Venice and as it's right near the Fondaco Dei Tedeschi we headed there afterwards. Turns out we ended up passing or crossing it pretty much every single day afterwards as it's so central. To see it properly I'd advise going either first thing in the morning or in the evening when it's quieter. During the day though there's a stall just across it that sells fresh ice cold juice, which is the most welcome thing on a hot day in Venice. 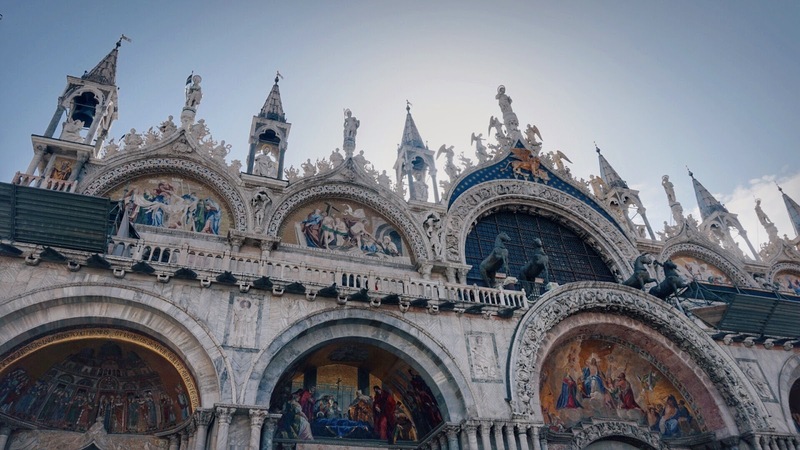 St Mark's Basilica | As with all the cathedrals we visited, entrance to St Mark's Basilica is free so there are queues. Unlike the other cathedrals we visited though, this queue was well worth it. St Mark's Basilica is absolutely breathtaking inside, there's so much gold everywhere and we were tripping over our feet because we weren't looking where we were going. I can't do it justice with words and you're not allowed to take pictures inside, but if you're in Venice, go! 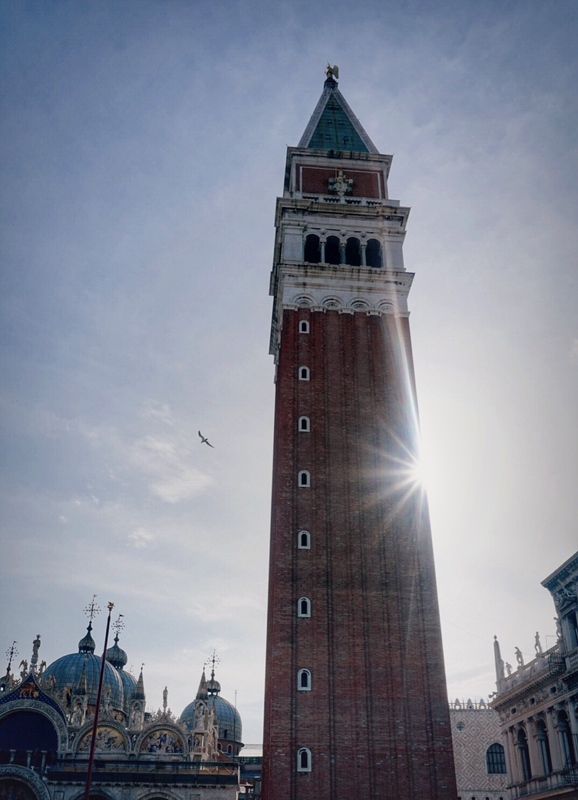 St Mark's Campanile | We went up the bell tower first thing one morning and although you obviously get a beautiful view, I actually enjoyed the view from the Fondaco Dei Tedeschi more simply because it felt a bit more open and it was less crowded. It's certainly not a bad start to the morning to hear the bells ringing up close though. Doge's Palace | This is the previous headquarters of the Venetian Government so there are meeting rooms, courtrooms and a prison. The rooms were absolutely beautiful (aside from the prison...) and it was also super interesting. You also get to walk along the Bridge of Sighs, which is famous for being the last walk prisoners would ever make and for a last walk, it's pretty picturesque! 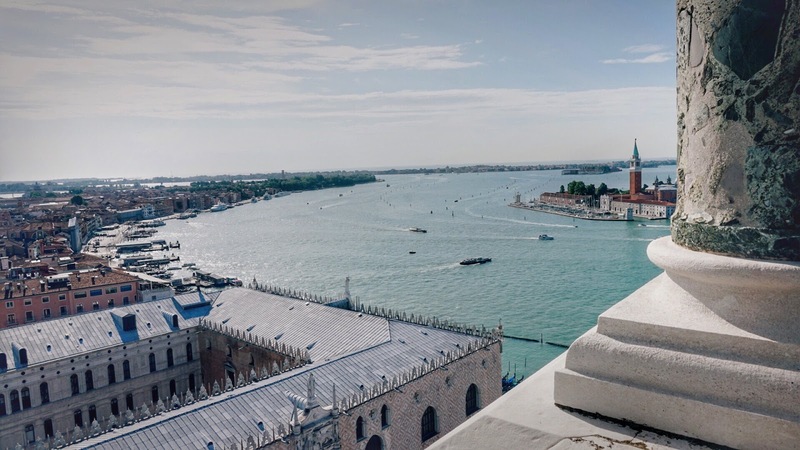 Museo Correr | This museum is also in St Mark's Square and you can get in with your ticket to the Doge's Palace. If I'm honest, when we visited here I think we were well and truly museum-ed out. It didn't take us very long to walk around even though it's absolutely huge and although I'm sure there are lots of interesting things to see and read, we didn't really pay attention. 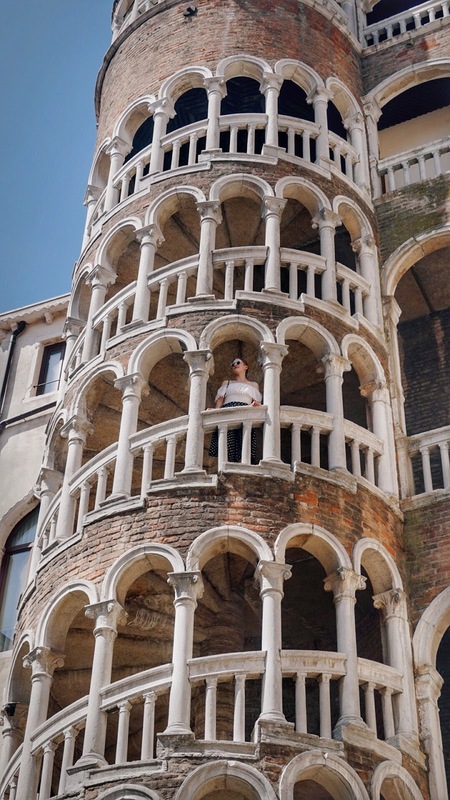 Scala Contarini del Bovolo | All I knew about this place before we went was that it was a beautiful staircase. In my head I for some reason expected some sort of metal staircase with some foliage on, Kew Gardens-style. I was not prepared for a full on staircase building. To summarise, it's a bloomin' beautiful staircase and it's totes free to look at (although it does cost to go up). Peggy Guggenheim Collection | Obviously Italian Renaissance art is beautiful, but there is only so much of it you can see before you crave something a bit different so it was very refreshing to see some modern art, even if it did include a sculpture of a funny-looking man with an erection riding a horse. Apparently it's art. 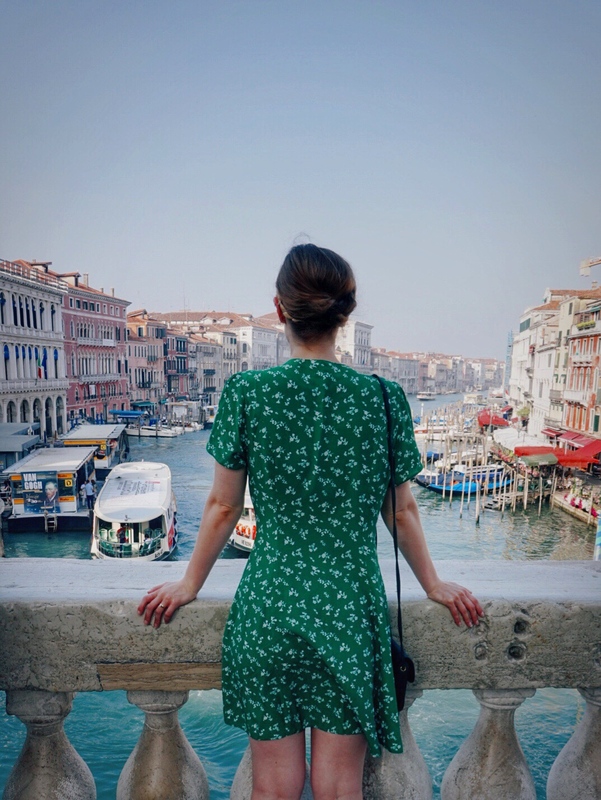 European Cultural Centre Exhibitions | We stumbled across the Palazzo Mora on our way to somewhere else and noticed that it had a free architecture exhibition on and then discovered that there were other locations across Venice with free exhibitions on too. They were actually super interesting to look round and free so what's to lose?! 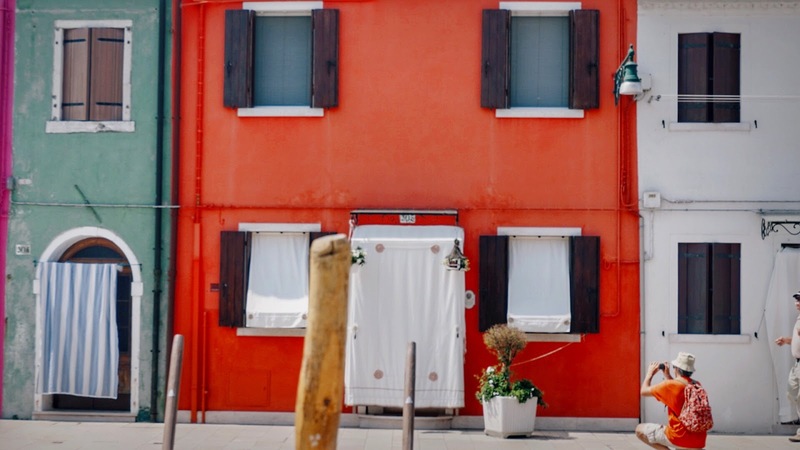 Murano, Burano and Torcello | On our second day we bought a water taxi day pass so we could visit some of the islands. We visited Torcello first, which was absolutely tiny, but there was a lovely walk along the canal and a picturesque church at the end of it. We then moved on to Murano, which is famous for glass blowing, but because we went on a Sunday none of the factories were really open. The shops were though so we at least got to see some of the glass, if not the actual blowing. It was also a very pretty island, a little like a mini Venice and much less busy. 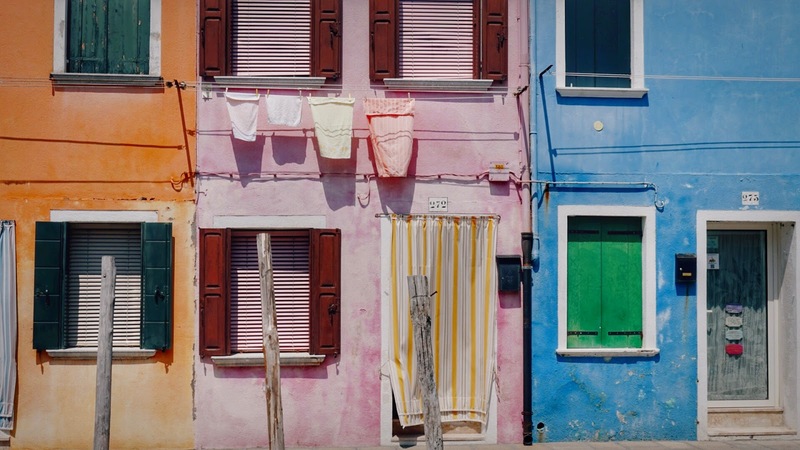 My favourite though, was Burano. Although famous for lace making, what I really loved about it was how colourful it was. We sat and ate an ice cream surrounded by brightly coloured houses, watching Fred from First Dates making a documentary. Surreal eh? 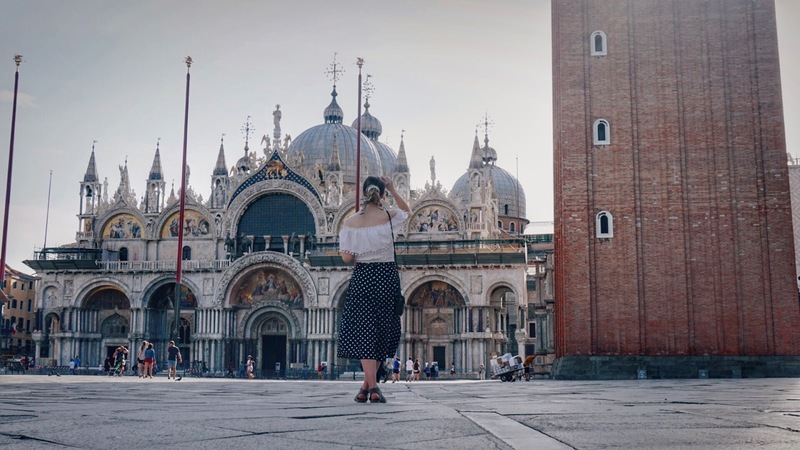 Aside from the actual attractions, Venice really is gorgeous to wander around, particularly off the beaten track where it's not so busy or early in the morning before all the tourists are out. 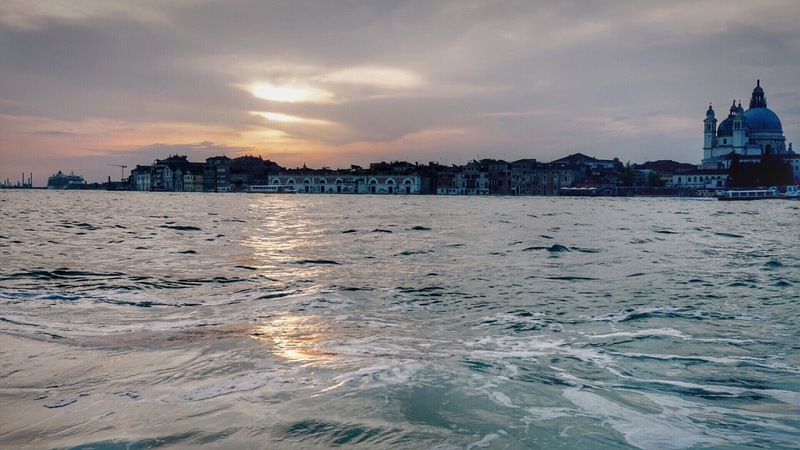 We didn't get a gondola ride because they are SO expensive (see above point about running out of money), but we did travel round the edge of Venice and then down the Grand Canal on the water taxi at sunset, which was still lovely. 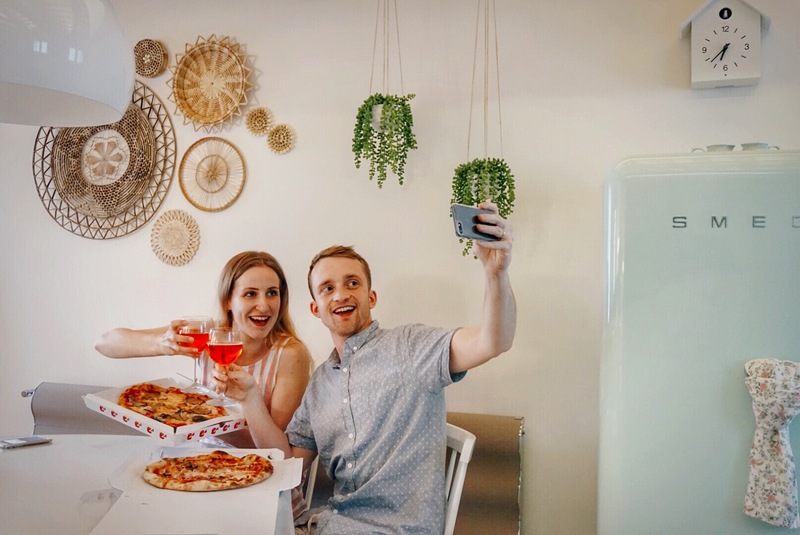 What we ate | We cooked in our air bnb most days so this section will be rather short, but one night we did get takeaway pizza, which was amazing. Arte Della Pizza was recommended to us by our air bnb hosts as the only decent takeaway pizza place in Venice; it was proper Italian pizza and absolutely delicious. And that sadly brings me to the end of our honeymoon diaries. I'll just have to book another holiday now! 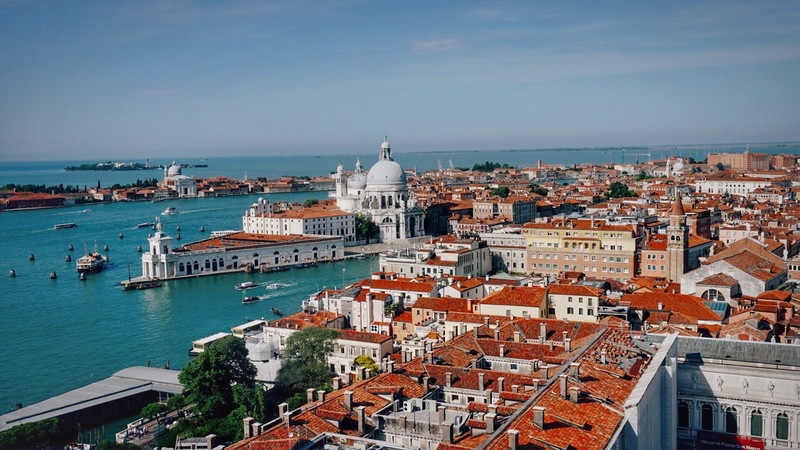 Have you ever been to Venice? 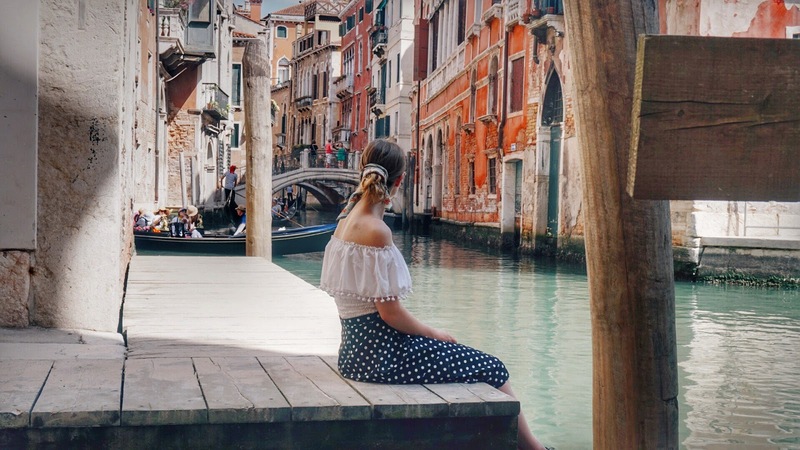 Sounds like you had the loveliest time Amy - Venice looks SO romantic! 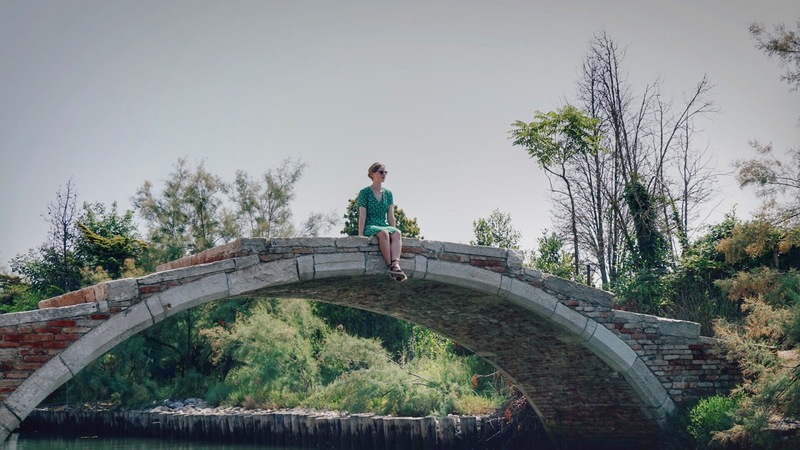 These photos are gorgeous and it sounds like you saw a lot of the city! This is the dreamiest city! 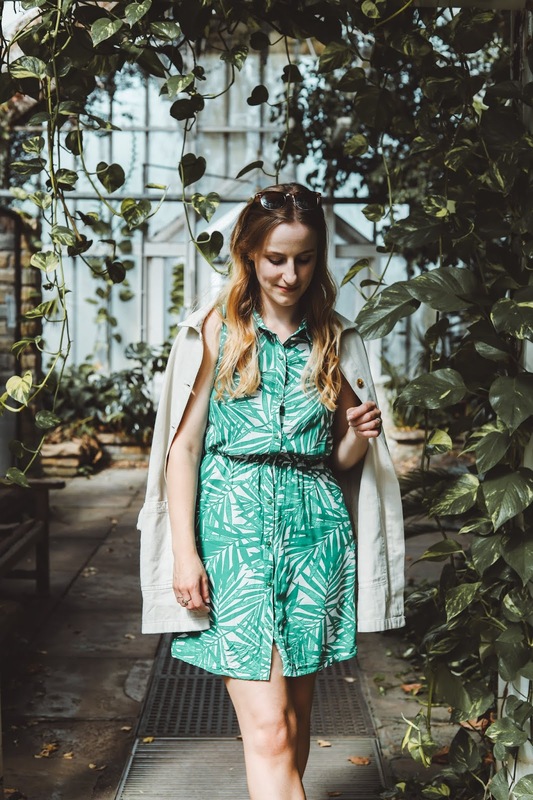 Love all the images you captured! You've made me want to go back! Such a beautiful country! I feel like I do have a good excuse though, I've been and Simon hasn't!